My maternal great aunt, Hedwig Josephine Palen, daughter of Frank Joseph Palen and Emma Elsie (Clausen) Palen. Wife of Robert Clyde “Burt” Genz, married on 21 June 1920 in Dubuque, Dubuque County, Iowa. Born: February 1898 in Caledonia, Houston County, Minnesota and died on 23 April 1921 in Dubuque, Dubuque County, Iowa during childbirth from convulsions. 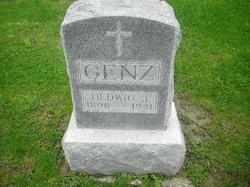 Hedwig (Palen) Genz and Robert Clyde “Burt” Genz had one child, a daughter, Hedwig, and she died in childbirth with her mother. 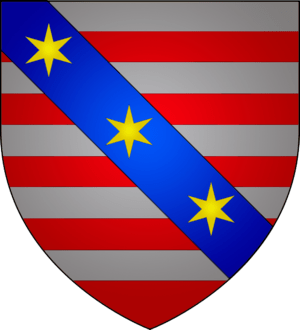 Paul Pletschette, my maternal 9th. great grandfather, son of Johann Jean Pletschette and Catharina Meyers. Canach lies in the far north of the canton of Remich, and is located approximately 16 km from Luxembourg City. source: COMPILED BY VERNON WALSER PALEN, PEDIGREE CHARTS OF PALEN FAMILY-Jean Marie Linderman Frederick Mancill -RECEIVED FROM VIRGINIA PALEN-LONG OF DIXON, ILLINOIS (JAN. 1, 1965). Married: 1777 to Mariae “Mary” Muller (Mueller) in RUED 1, ROODT 1, ELL, GRAND DUCHY OF LUXMEMBOURG. My Maternal 3rd. Great Luxembourgian Grandfather, Josef Palen, Sr.
Married: Anna-Catherina Pletschette (aka Pletschet) on 4 April 1820 in Neunhausen, Canton de Wiltz, Diekirch, Luxembourg. JOSEPH AND ANNA WERE MARRIED APRIL 4, 1820 IN NEUNHAUSEN, LUXEMBOURG, AND HAD 15 CHILDREN, 5 OF WHOM DIED IN INFANCY—AMONG THEM TWINS. OLD HOUSE STILL THERE IN MAY 20, 1998. OLD PALEN HOUSE IS AT ‘MRS BODE–KOEUNE GEORGETTE 25, RUE MGR FALLIZE, L-9655, HARLANGE, LUXEMBOURG, EUROPE. Source: COMPILED BY VERNON WALSER PALEN, PEDIGREE CHARTS OF PALEN FAMILY–RECEIVED FROM VIRGINIA PALEN-LONG OF DIXON, WILL COUNTY, ILLINOIS (researched JAN. 1, 1965). His son was STEPHEN ROY PALEN, GOOD WEBSITE FOR PALEN & PLETSCHETTE: (1999), PLETCHETTE/PALEN FAMILY HOME PAGE. Short Footnote: PLETCHETTE/PALEN FAMILY HOME PAGE. This is the PALEN homestead that was bombed in World War II (with the X), it was restored. The woman in the foreground was Grand Duchess Charlotte. This was directly across the road from the Saint Servatius Catholic Church in Harlange, Canton of Wiltz, Diekirch, Luxembourg. Leopold Frank Palen family-1898-Caledonia, Minnesota. Back row– May, Lucy, Emil, Johanna, Henry (with moustache), Josephine, Frances, Frank Joseph (with moustache). Middle row — Leopold Frank (with beard), Mary “May” Haupert. Front row — Nicolas Frank, Joseph Frank, Anne Palen. 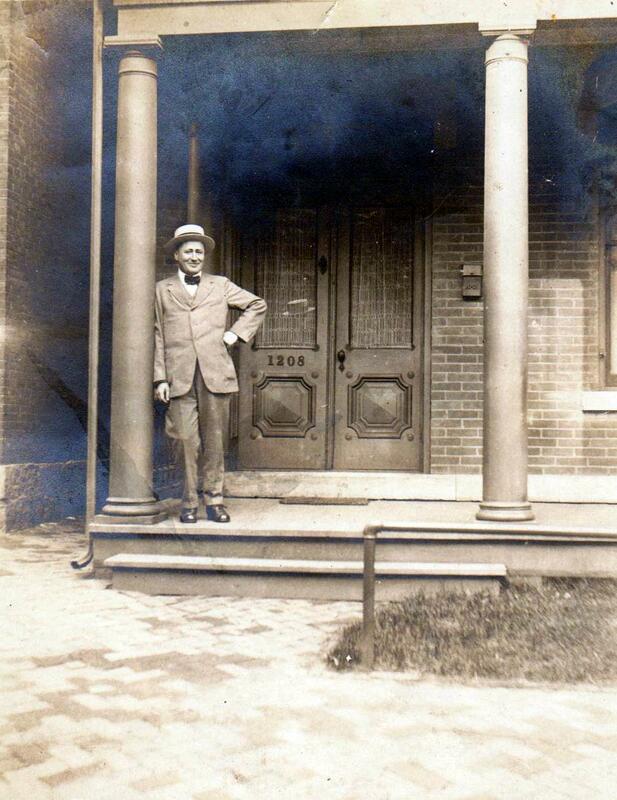 Leo Francis “Frank” Palen, husband of Besse Leone (Koch) Palen, resided 815 Galena Ave., Dixon, Lee County, Illinois. Father of Virginia Palen (Long), Rev. Robert “Bob” Leon Palen, and William “Billy” Edward Palen. His Parents were Frank Joseph Palen, and Emma Elsie (Clausen) Palen. 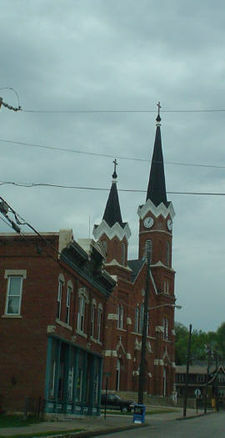 His parents Frank and Emma resided at 1208 Jackson Street, Dubuque, Iowa, 52001. Leopold’s Grandparents were Leopold Frank Palen and Mary “May”(Haupert) Palen both from Luxembourg. 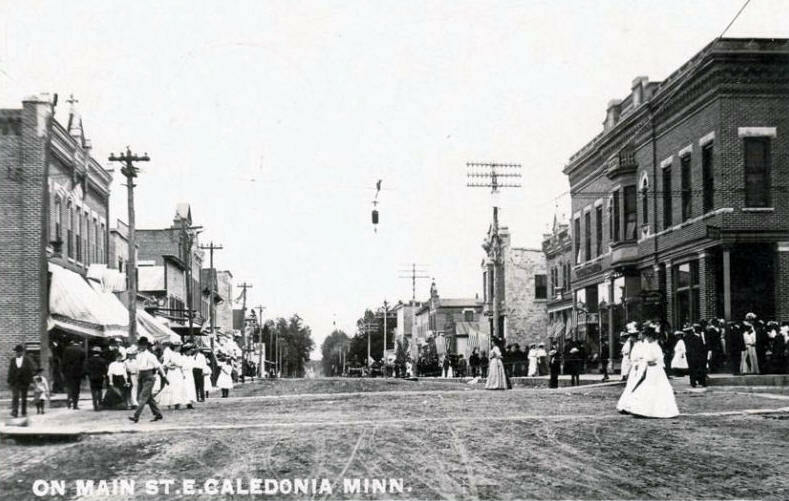 They resided in Caledonia, Houston, County, Minnesota. Leo was the beloved brother of my maternal grandmother, Phyllis Eugenia Adele (Palen) Linderman. Virginia (Palen) Long, Leo Palen, Harry Linderman, & Jean (Linderman) Frederick Mancill, Dixon, Lee County, Illinois, c.1970. Leo Frank Palen, Dixon, Illinois, circa 1950’s. Leo Palen, Dec. 1962, 4102 Arnold St., Houston, Harris County, Texas, in the backyard of Harry & Phyllis Linderman’s home (Leo’s sister). Palen family-1898–Back row–May, Lucy, Emil, Johanna, Henry (with moustache), Josephine, Frances, Frank Joseph (with moustache). Middle row–Leopold Frank (with beard), Mary “May” (Haupert) Palen. 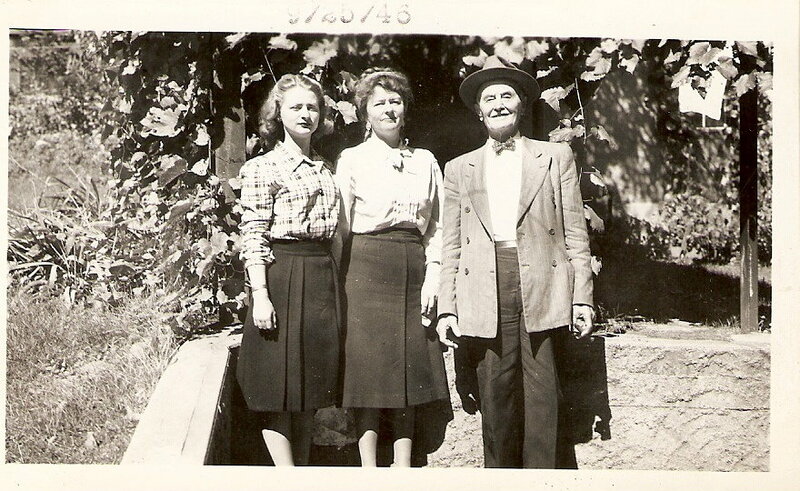 Front row–Nicholas Frank, Joseph Frank, and Anne Palen in Caledonia, Houston County, Minnesota. Daughter of Henry Clausen and Mary (Koble) Clausen both born in Germany. Emigrated in 1855 to Illinois. There name was also spelled Claussen, and Classen. I was so excited to find Emma in the 1870 Census for Illinois, so now after 25 yrs. of searching I know who her parents and siblings were. 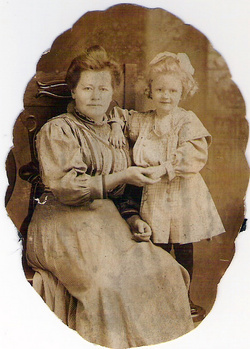 Emma was my maternal great grandmother. “United States Census, 1870,” index and images, FamilySearch (https://familysearch.org/pal:/MM9.1.1/M6WY-NN3 : accessed 10 Aug 2012), Emma Classen in household of Henry Classen, Illinois, United States; citing p. 4, family 26, NARA microfilm publication M593, FHL microfilm 545791. Emma was the sister of: August, Frederick, Minnie, Caroline “Carrie”, and Louisa Clausen. Emma Elsie (Clausen) Palen, beloved first wife of Frank Joseph Palen, married in 1885 in Caledonia, Houston County, Minnesota. Mother of Phylis Adele Eugenia (Palen) Linderman, my maternal grandmother. I never knew my Great Grandmother, Emma because she died before I was born. My Mother is Jean Marie (Linderman) Frederick Mancill, and she told me that Emma was Lutheran, but Frank was Catholic. And…that poor Emma had to attend her church alone, because she had promised to raise their children as Catholic. My Grandmother wasn’t allowed to attend church with her Mother, and was forced to attend Catholic schools until she was in High School. Phylis changed spelling of her name to Phyllis, and then she begged her Father to allow her to go to Public High School. He never forgave himself for it, because she married a Lutheran not a Catholic. 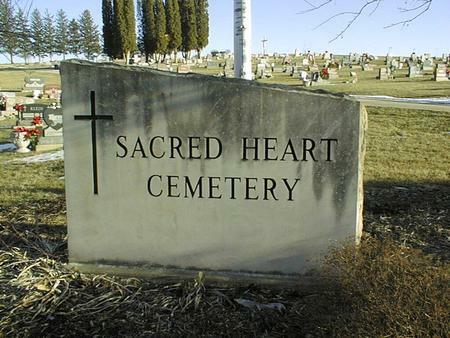 Through research, thanks to LeRoy Amacher, I found out that Frank and Emma were both buried in the Mount Calvary Catholic Cemetery in Dubuque, Iowa, beside each other. Emma was a good, loving, and kind woman. She was a homemaker. Emma and Frank had four children: Leo, Phylis, Hedwig, and Flossie Palen. Hedwig and Flossie died very young. They have many, many descendants. They would be proud. One of their daughters, my Grandmother, Phylis Adele (Palen) Linderman, and Harry William “Billy” Linderman, had four daughters: Yvonne Phyllis (Burgess) (Levesque), Yvarra “Billie” (Jackson), Jean Marie (Frederick) (Mancill), and Patricia Mae “Patsy” (Cooke), and no sons. 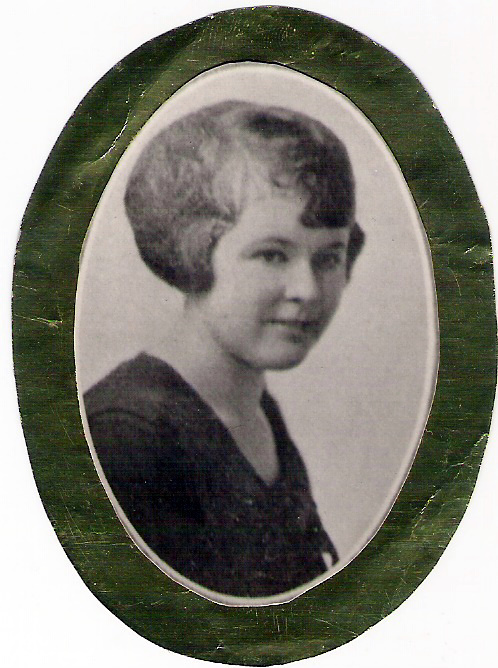 Born Phylis “Phy” Eugenia (Palen) in Bemidji, Clearwater County, Minnesota to Frank Joseph Palen and Emma Clausen Palen. Raised as Catholic and attended St. Mary’s Catholic schools, until high school when she went to Dubuque High School. Americanized the spelling of her name Phylis to Phyllis. Daughter, Yvonne Phyllis and Granddaughter, Phyllis Jean Frederick were named after her. 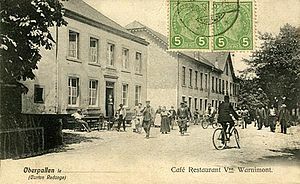 Palen ancestors emigrated from Luxembourg in 1855. Met Harry William Linderman at Dubuque High School. He was a Lutheran, not a Catholic. Daughter of Frank Joseph Palen & Emma Elsie Clausen Palen. Pianist, Artist, Homemaker, and Singer. Phyl also remodeled and sold their homes and made a profit. Wife of Harry “Billy” William Linderman. Co-Owner “Linbar, Inc.” in Houston, Harris county, Texas. Resided at 4002 Arnold St., Houston, Texas 77005, in West University Place, from 1943-1963. My Grandmother and Grandfather were members of the First United Methodist Church-Downtown, at 1320 Main Street, Houston, Texas, up until 1963. 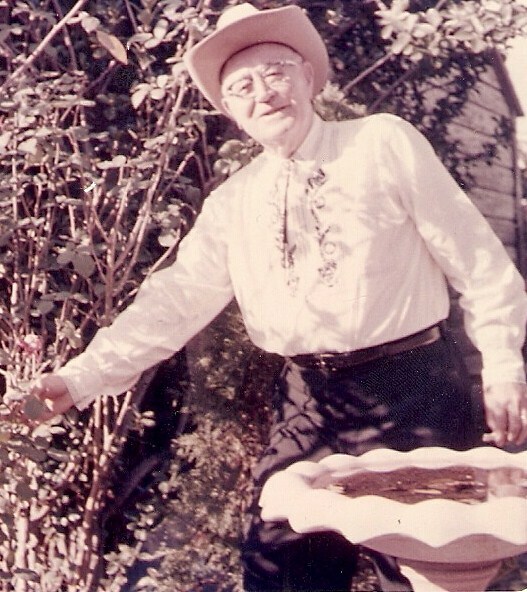 CO-Owner of Saturday’s Tavern, in Gayhill, Burleson, Texas during the 1950’s. They spent many a weekend there with their daughters and their families. Died of Hodgkin’s Disease in M.D. Anderson Cancer Center, Houston, Harris, Texas, December 1963. Harry & Phyl were quite the host and hostess. They had many friends and family. Phyl was the mother of four girls, Yvonne Phyllis, Yvarra “Billie” Irene, Jean Marie and Patricia Mae “Patsy” Linderman. Phylis & Harry loved to travel, and attended the Republican Conventions. They were both Republicans. Grandpa Harry Linderman was the 1954 Harris County Republican Chairman in Houston, Harris County, Texas. He was one of the Republican Delegates to the Republican Convention in San Francisco, California, 1954-1956, from Houston, Harris County, Texas. Her family was so broken up by her death, that they couldn’t force themselves to visit her gravesite. There is no headstone for Grandma Linderman. She is buried underneath an old, Oak tree and beside a Doctor. PHYLLIS EUGENIA PALEN WAS RAISED AS CATHOLIC. HER PARENTS SENT HER TO PRIVATE CATHOLIC SCHOOL UNTIL SHE WAS IN HIGH SCHOOL. SHE BEGGED HER FATHER TO LET HER GO TO PUBLIC SCHOOL. SHE WENT TO PUBLIC SCHOOL AND MET, AND FELL IN LOVE WITH, THEN ELOPED WITH HARRY WILLIAM LINDERMAN, A PROTESTANT. 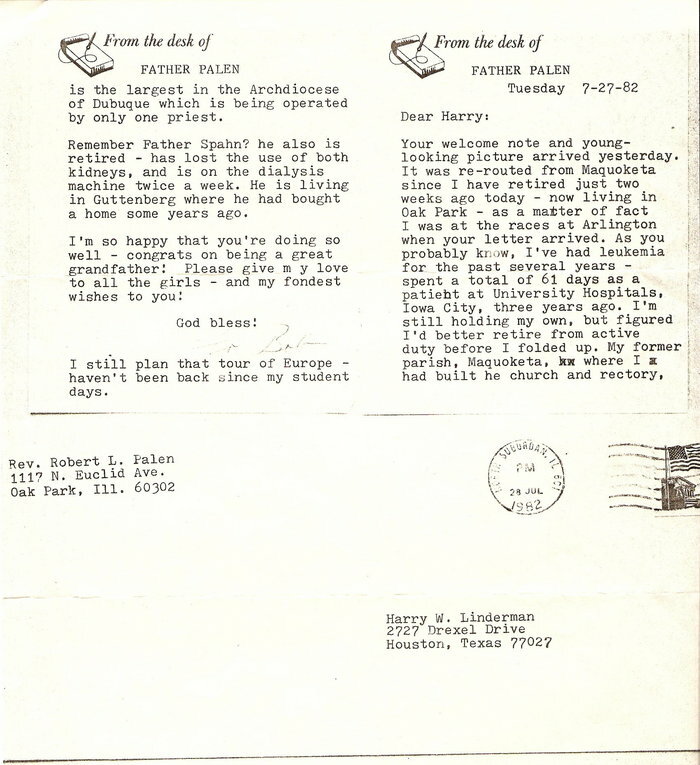 MUCH TO HER FATHER’S DISMAY, BECAUSE HARRY WAS LUTHERAN NOT CATHOLIC. PHYL’S FATHER NEVER FORGAVE HIMSELF FOR ALLOWING HER TO GO TO PUBLIC SCHOOLS. PHYL AND HARRY MOVED AROUND A LOT, BECAUSE HARRY WAS A SALESMAN. I KNOW THAT THEY LIVED IN CHICAGO, ILLINOIS, DUBUQUE, IOWA, AND INDIANAPOLIS, INDIANA. 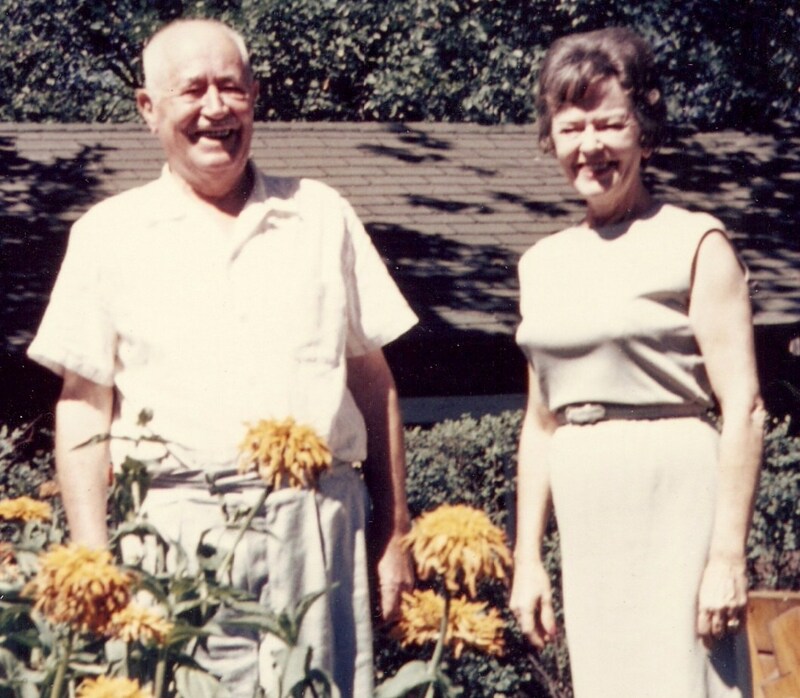 PHYL WOULD FIX UP AND SELL THEIR HOME FOR A PROFIT,AND THEY WOULD BUY ANOTHER HOME IN WHATEVER TOWN THEY MOVED TO. 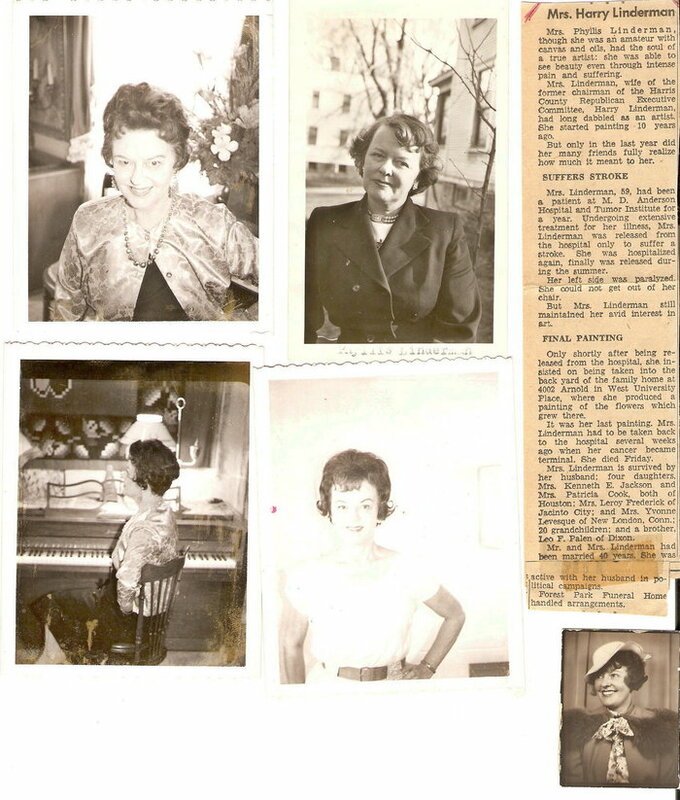 GRANDMA PHYL WAS AN ARTIST, PIANIST, HOMEMAKER, MOTHER AND SOMETIMES EVEN FATHER. HARRY WAS ON THE ROAD A LOT. HE WAS A SALESMAN. PHYL WAS A VERY CREATIVE, INTELLIGENT WOMAN. SHE LOVED HER FLOWERS, ANTIQUES, ART, AND MUSIC. PHYL ALWAYS WORRIED ABOUT HER WEIGHT. SHE AND HARRY LOVED TO DINE, DRINK, AND DANCE. THEY COLLECTED ANTIQUES. THEY HAD VERY EXPENSIVE TASTES. Note: No headstone or marker. Buried in front of Oak Tree. Buried between Dr. John H. Eganhouse and William J. Turner. Section Lone View 23, Plot 511, Burial no. 52138. Grave no. 4. Resided in Roodt, d’Ell, later at Harlange. Buried in Harlange (Harlingen), Luxembourg. Joseph & Anna were married April 04, 1820 in Baschleiden, Luxembourg, EUR and had 15 children, 5 of whom died in infancy — among them twins. Deceased on March 17, 1855 at age of 54 years. The cross is on catholic church (St. Servatius) property close to the wall, but many years ago a new cemetery was built outside the village & some of the old crosses were put close to the wall of the church. Below is 2nd wife of Nicolas F Palen #8 above. Luxembourg is fairy-tale stuff…complete with the happy ending. The story of this land’s tumultuous history beguiles with its counts and dynasties, wars and victories, fortresses and promontories. Only the dragon is missing. It’s no surprise that Luxembourgers are a proud people whose national motto, Mir wëlle bleiwe wat mir sin (‘We want to remain what we are’), sums up their independent spirit. 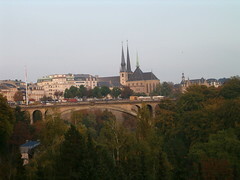 The population of 469,000 is predominantly rural based – the only centres of any size are the capital, Luxembourg City, followed by Esch-sur-Alzette. Luxembourg’s cuisine is French and German based. The national dish is judd mat gaardebounen – slabs of smoked pork served in a thick cream-based sauce with chunks of potato and broad beans. Other specialities include ferkelsrippchen (grilled spareribs), liewekniddelen mat sauerkraut (liver meatballs with sauerkraut), and kachkeis (a cooked cheese). Beers to sink include Bofferding, Diekirch, Mousel and Simon Pils, after which comes a host of local fruity white and sparkling wines. From 2008 you can enjoy all this in an untainted environment, thanks to recent legislation banning smoking in restaurants and, during dining hours, in cafés. 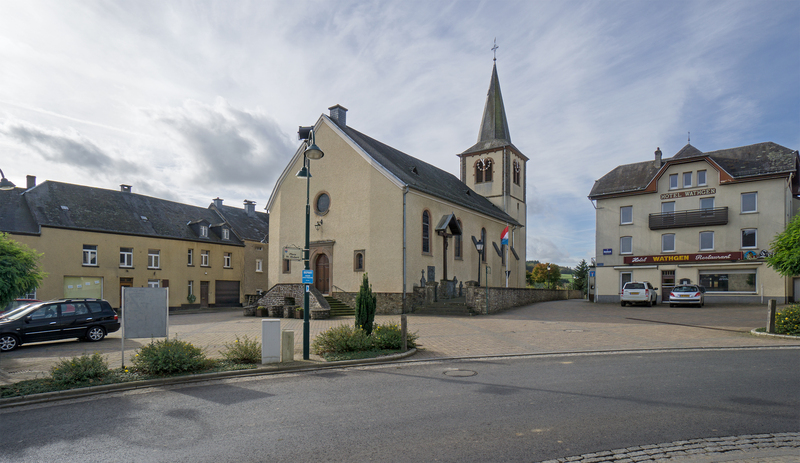 My Luxembourgian ancestors were from Bachleiden, Diekirch, Wiltz, Luxembourg. 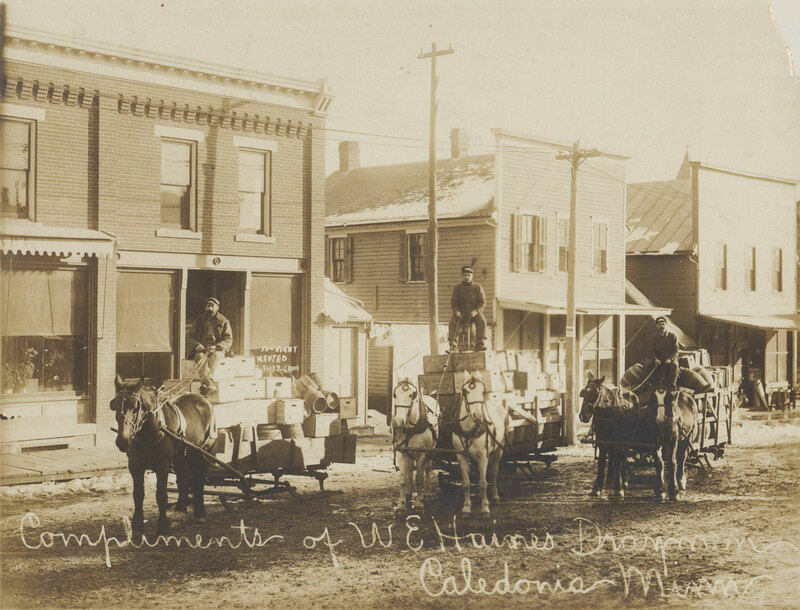 The Palen and Pletschet families emigrated to America in 1862 and settled in Caledonia, Houston County, Minnesota. Back row— May, Lucy, Emil, Johanna, Henry (with mustache , Josephine, Frances, Frank Joseph (with mustache) [my Great Grandfather]. Middle row — Leopold Frank (with beard), Mary (Haupert) Palen. Front row — Nicolas F., Joseph F., Anne. My Maternal Great Grandfather, Frank Joseph Palen, son of Leopold Frank Palen & Mary (May) Haupert Palen, from Bachleiden, Luxembourg.Married Emma Elsie (Claussen) Palen in 1885 in Caledonia, Houston County, Minnesota.Father of Leo Frank, Phylis Adele “Eugenia”(Linderman), Hedwig G., and Flossie Palen. Resided at 1208 Jackson St. in Dubuque, Iowa. Married second time to a widow, Ann Nason, who had one daughter (name unknown Nason). Frank & Ann (Nason) Palen had no children together. 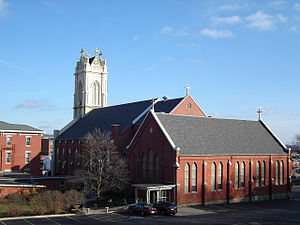 Frank Palen, attended a Catholic Church, there close to the River, the Cathedral of St. Raphael there on Bluff St, because that is where his Grandson, Robert Leon Palen, was ordained on 7 June 1941. Frank Joseph & Emma Elsie (Claussen) Palen are buried beside each other in the Mount Calvary Cemetery, Dubuque, Iowa. Frank resided in Retirement Home near Mount Calvary Cemetery up until his death, because Ann had died before him. His home at 1208 Jackson Street was sold, and the house was hers from her former marriage. A world of thanks to LeRoy Amacher for taking the time to go and take this photo of Frank Joseph & Emma Elsie Palen’s headstone. I was soooo excited to see it for the first time! Frank & Emma’s Granddaughter, my Mother, Jean Marie Linderman Frederick Mancill, was 84, and resided in Houston, Texas, Jan. 1, 2012. 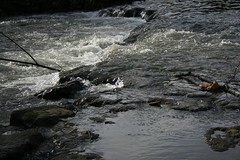 Mother passed away on 9 March 2012. Born: 6 February 1801 in NENGSEN, NEUNHAUSEN, CANTON OF WILTZ, LUXEMBOURG. Anne-Catherina Pletschette married Joseph “Joe” Palen on 4 April 1820 in Bachleiden, DIEKIRCH, Luxembourg. Joseph “Joe” Palen was born in 1778 in REIDEN-ATERT, REDINGEN, REDANGE, LUXEMBOURG. They had fifteen children together. Five of them died in infancy. She died on 17 March 1855 in HAREL, HARLINGEN, HARLANGE, LAC DE LA HAUTE-SURE, LUXEMBOURG. She was buried in the St. Servatius Catholic Cemetery, in Harlange, Luxembourg. Joe died in January 1864 in HAREL, HARLINGEN, HARLANGE, LAC DE LA HAUTE-SURE, LUXEMBOURG. They are buried in the same cemetery across the street from their home. They resided at 25 RUE MGR FALLIZE, L-965, HAREL, HARLINGEN, HARLANGE, LAC DE LA HAUTE-SURE, LUXEMBOURG from 1820 to 1855, when Anne-Catherina died. Her Father was Jean-Pierre Pletschette and Anna Maria (Asselborn) Pletschette from Nengsen, Neunhausen, Canton of Wiltz, Luxembourg. Married: Josef Palen Sr. on 4 April 1820 in Bachlieden, Diekirch, Luxembourg. Children: Maria, Dominque (Dominick), Marie-Josephine, Joseph Jr., Nicholas Gregorie, Marie-Francois Christine, Pierre-Joseph, Anne-Marie Francois, Marie-Josephine, Leopold Frank, Marguerite, Julien, and Christine Palen. Anne & Joseph Palen had fifteen (15) children, five (5) of whom died in infancy, among them twins. 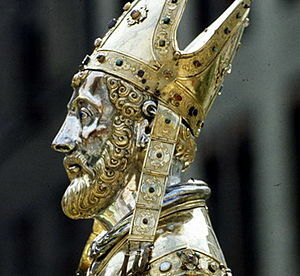 There is no Santa Claus in Luxembourg at Christmas time, however “St.Nicolas Day” is celebrated on December 6th. On evenings – one week – before this date, children put their slippers in front of their bed-room doors expecting them to be filled with a small gift by St. Nicolas during the night. On the eve of December 6th, children place a plate on the kitchen or dining-room table which St.Nicolas fills with sweets and gifts overnight. St. Nicolas also pays visits to children in schools. Phylis Eugenia Palen Linderman, Sept. 1928, Yvonne, Billie, & Jean (baby)Linderman, Dubuque, Iowa. This is the only picture that I have of my mother at age two. Jean Marie Linderman, age 2, 1930, Dubuque, Iowa. Phyllis Adele Palen Linderman, 1950-60’s, Houston, Harris County, Texas at 4002 Arnold St, West University Place. Jean Marie (Linderman) Frederick Mancill, daughter of Phyllis “Phyl” (Palen) Linderman and Harry William Linderman. 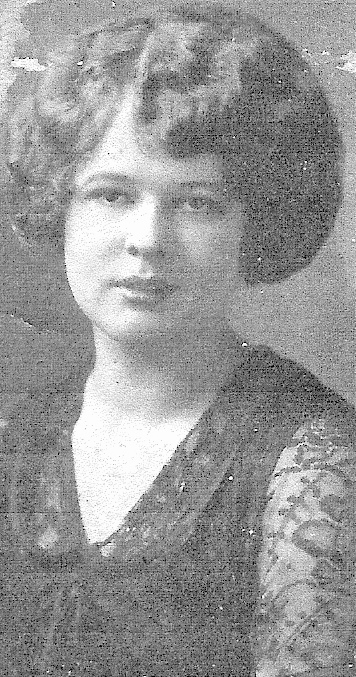 Granddaughter of Frank Joseph Palen and Emma Elsie (Claussen) Palen, also of Edward Francis Linderman and Gudrun Ivarra (Lund)Linderman of Dubuque, Iowa. First husband LeRoy Eugene Frederick. Married 15 November 1947, Liberty, Texas. Divorced 1968. the Frederick homestead was at 1709 Cheston Drive, Jacinto City, Texas 77029. 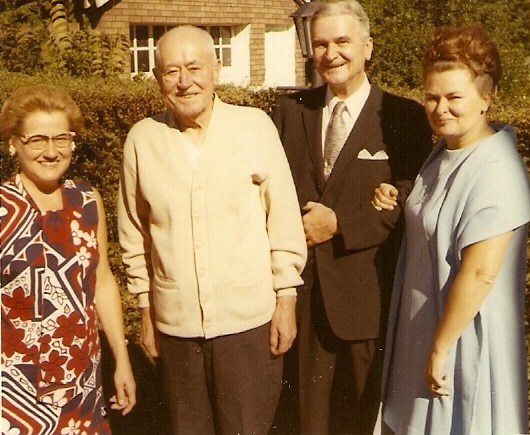 Six children together: Joseph Lee, Phyllis Jean, Sally Ann, Karl Thomas, Patricia Marie, and Sarah Kay Frederick. Mother was a very loving and creative woman. She taught me how to sew at 16, she made us a braided rug, she knitted, crocheted, needlepointed, and quilted. Second husband Louis “Honey Lou” Clifford Mancill. Married 5 December 1968, Houston, Texas. Our Mancill homestead was at 11039 Lafferty Oaks St, Houston, Texas. My Mother and Dad made our house a home. We celebrated many a birthday, and all holidays at this home, at 11039 Lafferty Oaks St., in Houston, Texas. He preceded her in death. No children of this union. Four step sons, Michieal Wayne Mancill, Billy Carl Thomas, Carl Louis and Robert Lawrence Mancill. She was the life of the party. She lived, she laughed and she loved. Lou called her his “satan pussycat”, and the “princess and the pea”. She was spoiled by my Dad. They spoiled each other. They were each other’s best friends. They were deeply in love. Mother passed away at home surrounded with family that loved her. She just drifted off, and the angels came to get her. My consolation was she was not in pain, and not alone, and I was able to be there with her for her last six years of her life. Mother just passed today, March 9, 2012, in Rosharon, Texas. She left us peacefully to be with Jesus. I am so grateful to have been able to spend the last six years living together with Mother. We got to be even closer than ever. She was blessed with a good life, and a good family. She really was always there with all of us six children, up until the last week of her life. She fell on Monday, and we think she had a mini stroke, she never was able to speak clearly after that. She passed away on Friday afternoon, in her sleep. Mother left us just like she wanted to. She had dignity and respect from all who knew her. Everyone who knew her loved her. She was a very giving person, and always was there for her six children. Our family was a very loving, close-knit family. Burial followed at the same Oaklawn Cemetery, where Aunt Yvonne Linderman (Levesque), Uncle Kenneth Jackson, and Aunt Yvarra “Billie” Linderman (Jackson) are buried. Mother’s viewing was held on Monday, March 12, 2012 from 4-9pm. The funeral services were on Tuesday, March 13, 2012 @11am @ Oaklawn Cemetery Pavilion, on Hwy. 36 in Somerville, TX. location at:, Strickland Funeral Home at 545 8th Street, SOMERVILLE, TEXAS 77879, (979)596-2133. Mother’s family was a very musical one. Her father played the violin and organ, and her mother sang and played the piano. Jean was very creative too. Mother and her sister, Patsy both sang. They were all artists. Parents Josef “Joe” Palen, Sr. and Anna-Catharina (Pletschette) Palen of Luxembourg. Emigrated in 1856 from Luxembourg to Castle Garden, New York. Married: Maria Elizabeth “Barbara” Forman on 23 February 1858 in Dubuque, Iowa. 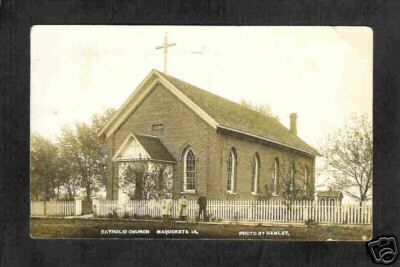 Resided at 1810 Couler Ave., Dubuque, Iowa from 1868 to 1902. “United States Census, 1870,” index and images, FamilySearch (https://familysearch.org/pal:/MM9.1.1/MDVM-5RJ : accessed 13 Oct 2012), Nicholas Palen in household of Nicholas Palen, Iowa, United States; citing p. 22, family 159, NARA microfilm publication M593, FHL microfilm 0545888. “United States Census, 1880,” index and images, FamilySearch (https://familysearch.org/pal:/MM9.1.1/MD2Z-KBT : accessed 13 Oct 2012), Nickolaus Palen, Dubuque, Dubuque, Iowa, United States; citing sheet 271B, family 0, NARA microfilm publication T9-0338. 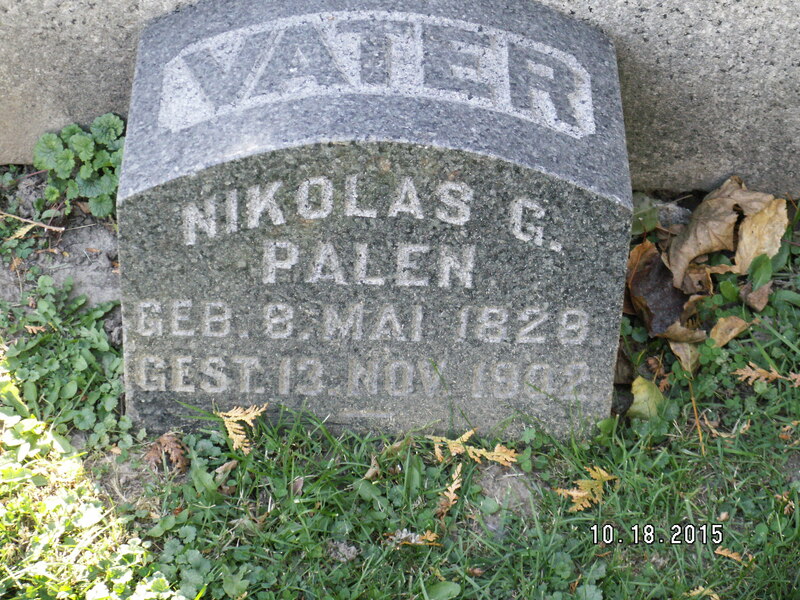 “BillionGraves Index,” index, FamilySearch (https://familysearch.org/pal:/MM9.1.1/2VWV-VLN : accessed 21 Jul 2014), Nikolas G Palen, 13 Nov 1902; citing Mount Calvary Cemetery Cemetery, Dubuque, Iowa. Born: 1759 in Roodt-les-Ell, Canton de Redange, Diekirch, Luxembourg. 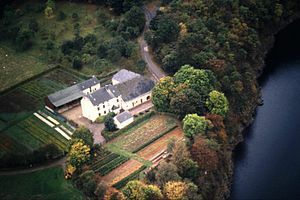 Married: Johann “Jean” Palen in 1777 in Roodt-les-Ell, Canton de Redange, Diekirch, Luxembourg. Died: 1825 in Roodt-les-Ell, Canton de Redange, Diekirch, Luxembourg. source: COMPILED BY VERNON WALSER PALEN, PEDIGREE CHARTS OF PALEN FAMILY–RECEIVED FROM VIRGINIA PALEN-LONG OF DIXON, ILLINOIS, AND HANDED DOWN TO JEAN MARIE (LINDERMAN) FREDERICK MANCILL, my mother. (compiled by Vernon Walser Palen, JAN. 1, 1965). COMPILED BY MY MATERNAL COUSIN, VERNON WALSER PALEN, PEDIGREE CHARTS OF PALEN FAMILY–RECEIVED FROM VIRGINIA PALEN-LONG OF DIXON, ILLINOIS. (JAN. 1, 1965). RECEIVED THE PEDIGREE CHART FROM MY MOTHER, JEAN MARIE LINDERMAN FREDERICK MANCILL, OF HOUSTON, HARRIS COUNTY, TEXAS, IN 1987. I thank God, that I have such wonderful family, that works to try and keep our family history alive. Title: STEPHEN ROY PALEN, son of Vernon Walser Palen, & WIFE: JEAN PALEN’S EMAIL. Author: STEPHEN ROY PALEN & WIFE: JEAN PALEN’S EMAIL. Children: Johann Palen (1750-1825) (unknown if they had other children or not). My Maternal Great Grandfather, Frank Joseph Palen, son of Leopold Frank Palen & Mary (May) Haupert Palen, from Bachleiden, Luxembourg. Grandson of Josef “Joe” Palen and Anna-Catherina Pletschette of Luxembourg. Patricia “Patsy” Linderman, Phyllis Eugenia (Palen) Linderman, & Frank Joseph Palen, 705 W. Third Street, Dubuque, Dubuque, Iowa, Sept. 25, 1943. Married first wife, Emma Elsie (Claussen) Palen on 21 June 1889 in La Crosse, La Crosse, Wisconsin. Father of Leo Frank, Phylis Adele “Eugenia”(Linderman), Hedwig Josephine (Genz), and Felistas “Flossie” Mary (Streuber) Palen. Frank, a Widower married second wife, Annie Paetsche Nesen, a widow of John Nesen. No children of that marriage. Resided at 1208 Jackson Street in Dubuque, Iowa. Frank Palen, attended a Catholic Church, there close to the River, the Cathedral of St. Raphael there on Bluff St, and that is where his Grandson, Rev. 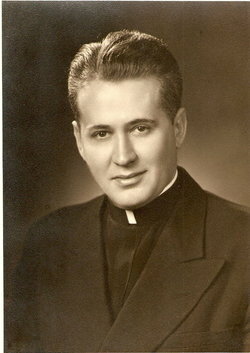 Robert Leon Palen, was ordained on 7 June 1941. Frank Joseph & Emma Elsie (Claussen) Palen are buried beside each other in the Mount Calvary Cemetery, Dubuque, Iowa. Frank resided in Retirement Home near Mount Calvary Cemetery up until his death. His home was at 1208 Jackson Street, Dubuque, Iowa had been sold. A world of thanks to LeRoy Amacher for taking the time to go and take this photo of Frank J. 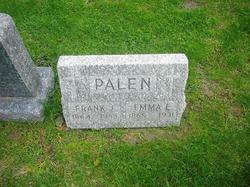 & Emma E. Palen’s headstone. I was soooo excited to see it for the first time! Frank & Emma’s Granddaughter, my mother, Jean Marie Linderman (Frederick) (Mancill), resided in Houston, Harris, Texas, Jan. 1, 2012. Jean passed away on 9 March 2012 in Rosharon, Brazoria, Texas. PALEN Family, Caledonia, Houston, Minnesota, 1909, for Leopold’s funeral. 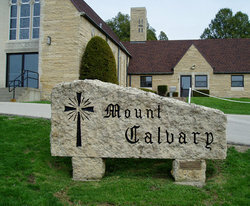 This is the old chapel at Mt. Calvary Cemetery. It is near the center of the cemetery. After the Regina Caeli chapel was built, the old chapel was converted into space for columbarium niches. Married: 25 May 1897 in Caledonia, Houston, Minnesota to Franziska “Frances” Palen. Children: Othilda Mary, Arnold Frank, and Jeanette J. Fuos. 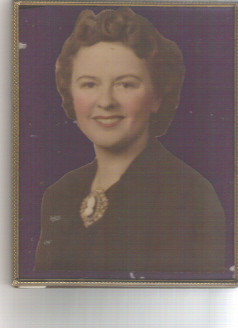 My maternal first grandaunt, Franziska “Frances” Palen. Daughter of Leopold Frank Palen and Mary “May”Haupert from Luxembourg. Married: Peter M. Fuos on 25 May 1897 in Caledonia, Houston, Minnesota. 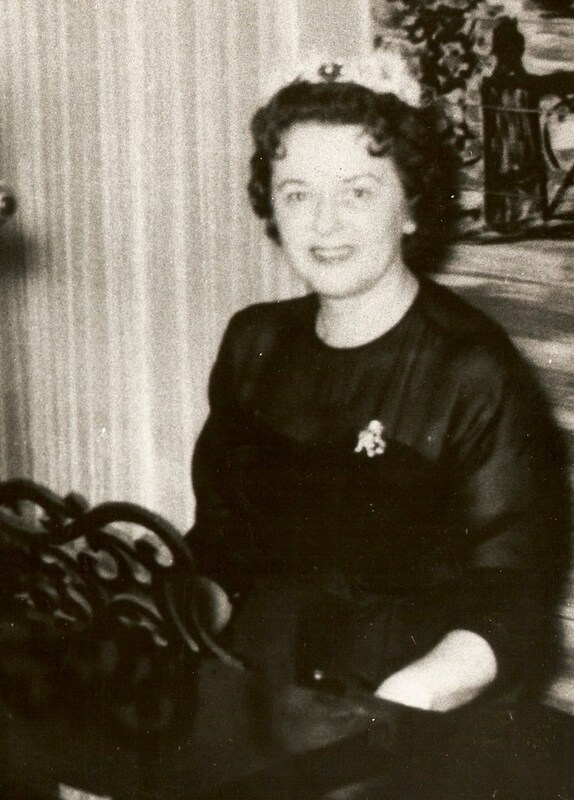 Daughter of Leopold Frank Palen and Mary Haupert Palen. 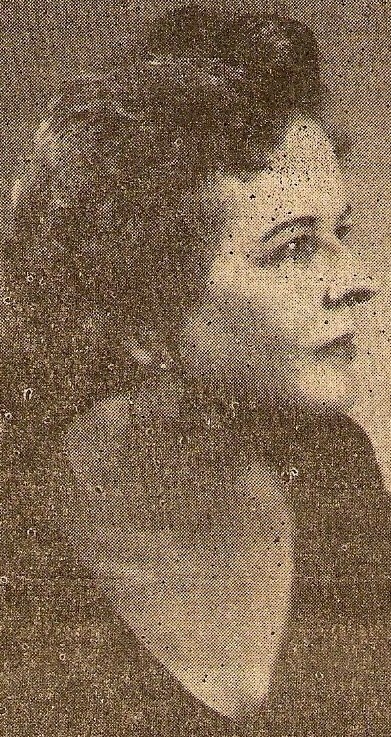 Wife of Peter “Pete” M. Fuos. Married 25 May 1897 in Caledonia, Houston, Minnesota. “Minnesota, Births and Christenings, 1840-1980,” index, FamilySearch (https://familysearch.org/pal:/MM9.1.1/FDHG-L92 : accessed 15 Oct 2012), Leopold Palen in entry for Franziska Palen, 19 Feb 1875. Born: 12 May 1824 in Harlange, Wiltz, Diekirch, Luxembourg. 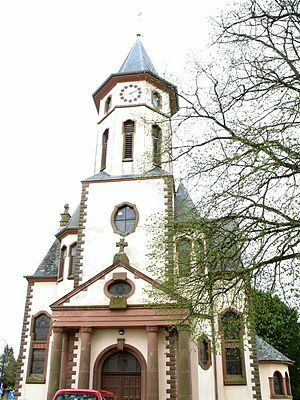 Baptized: 1824 Roman Catholic in Luxembourg. Married: Henry Joseph Talbott (1819-1910) on 27 March 1846 in Honville, Bastogne, Luxembourg, Belgium. Children: Anne-Marie Christine Talbott (Bonne-Compagie), and Anne-Marie Leocadie Josephine (Nicolas) Talbott. Died: about 1920 in Hollange, Fauvillers, Luxembourg, Belgium. Exact burial location is unknown. 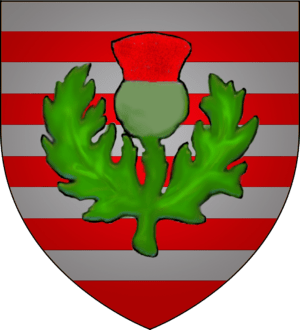 Fauvillers (German: Feitweiler, Luxembourgish: Fäteler, Walloon: Faiviè) is a Walloon municipality of Belgium located in the province of Luxembourg. 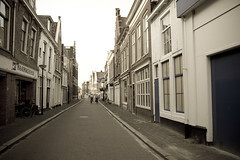 On 1 January 2007 the municipality, which covers 74.11 km², had 2,071 inhabitants, giving a population density of 27.9 inhabitants per km². 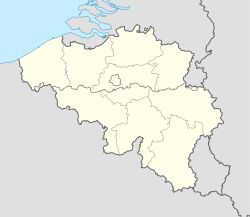 The municipality consists of the following sub-municipalities: Fauvillers proper, Hollange, and Tintange. Wife of John Peter Thimmesch. Married on 13 Feb. 1884 in Houston County, Minnesota. Mother of Charles J, Jennie, Clara, Johanna, and George Peter Thimmesch. According to Minnesota death records her birth date was Jan. 1861 not 1862, like her headstone shows. “Find A Grave Index,” database, FamilySearch(https://familysearch.org/ark:/61903/1:1:QK1L-GQTQ : accessed 6 February 2016), Anna Catharina Thimmesch, 1911; Burial, Caledonia, Houston, Minnesota, United States of America, Calvary Cemetery; citing record ID 147919067, Find a Grave, http://www.findagrave.com. Married John B. Gaspard on 1 May 1899 in Caledonia, Houston, Minnesota. Father Bob was a Catholic Priest, the son of Leopold Palen & Besse Leone (Koch) Palen. After graduating from Loras College in Dubuque, Iowa, he took his theology training in Innsbruck, Austria and Sion, Switzerland.Because of World War II, he completed his studies at the Catholic University of America in Washington, D. C.He was ordained June 7, 1941, at St. Raphael’s Cathedral, Dubuque, Dubuque County, Iowa by Archbishop Francis J. Beckman.Father Bob served as an Associate Pastor at the Sacred Heart Catholic Church, in Dubuque, Iowa from 1941 to 1948.Father Robert “Bob” Leon Palen organized the building of the church and rectory at the Maquoketa Sacred Heart Catholic Church in 1970’s. Diagnosed with Leukemia in 1979. Retired from the priesthood in July 1982. 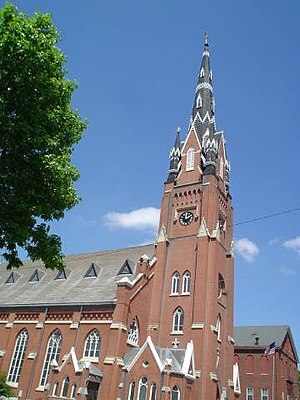 Father Bob resided at 1117 N. Euclid Avenue, Oak Park, Illinois 60302. He continued to give mass to his faithful followers, up until he became too ill to perform his duties. Father Bob resided in Oak Park and, subsequently, Oakbrook Terrace, up until he passed away on November 20, 2002.Surviving are a brother, William “Billy” Edward Palen, of Dixon, Lee County, Illinois. 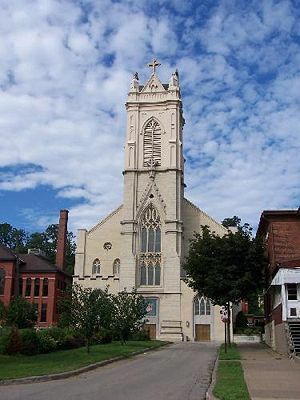 St. Raphael’s Cathedral, Dubuque, Iowa. Death: Apr. 5, 1864 New York? My maternal grandparents, Harry William Linderman and Phyllis Eugenia (Palen) married on 27 February 1923 in Clayton County, Iowa. They resided in Dubuque, Dubuque, County, Iowa in 1930. In 1935 they resided in Ottawa, La Salle County, Illinois. They resided in Indianapolis, Hamilton County, Indiana in 1940. Harry & Phyllis had four daughters together: Yvonne Phyllis, Yvarra Irene (Billie), Jean Marie, and Patricia (Patsy) Mae Linderman. In 1943 the family moved to Houston, Harris County, Texas. My grandfather loved watching owls. He was always making wise cracks. So, they named their home place “Wiseacres” in Westfield, Hamilton County, Indiana. They moved to Houston, Harris County, Texas in 1943. They also named their place there “Wiseacres” in Crosby, Harris County, Texas. My mother was in the last year of high school and transferred from Indianapolis to Lamar High School. Luxembourg is about as cuddly as countries come: prosperous, picturesque and delightfully tiny. At 999 square miles, it is the smallest but one of the European Union states. You could drive its length (55 miles) or its width (35 miles) in less time than it takes to watch a feature-length movie — provided you don’t stop at one of the many touristy villages or vineyards along the way. The capital, also called Luxembourg, is a cozy city of barely 100,000 souls; its major problem is not drugs or urban decay, but the apparently unfixable fact that it’s rather boring. Luxembourg is the only country in the world ruled by a grand duke, which sounds more like the setup to a fairy tale than a real-world constitutional arrangement. 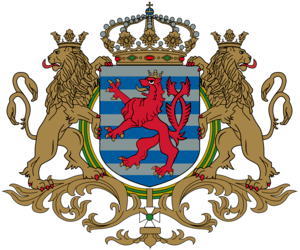 The grand duchy is a founding member of the European Union and NATO and hosts the European Court of Justice, Eurostat (the European Statistical Office), the Secretariat of the European Parliament and other supranational institutions. Luxembourg expects to be listened to and taken seriously by its international peers. And it is: of its last four prime ministers, one went on to become president of the United Nations General Assembly, another of the European Commission, and a third of the Eurogroup. All that from a country less populous than Hanover, Germany’s 13th largest city. It is so small that even tiny Belgium is able to smirk about the grand duchy’s size, replicating the scorn heaped upon itself by its own larger neighbors. Why is Luxembourg so determined to punch above its weight? Could it be that it has a grander idea of itself than its neighbors have? An elevated sense of self is a useful survival tool, for countries as well as people. But Luxembourgers could argue that they don’t have delusions of grandeur, but rather memories of grandeur. Once upon a time, you see, there was a Greater Luxembourg. The state’s roots go back to 963 A.D., when Siegfried, count of the Ardennes, acquired Lucilinburhuc, an old Roman fort with a Frankish name. 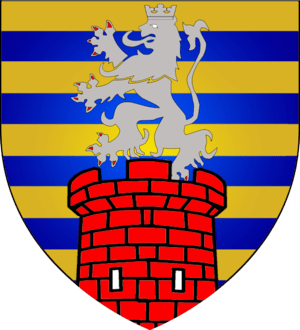 Over the next few centuries, the House of Luxembourg would choose its wars and wives wisely, and the County of Luxembourg would grow to encompass an area four times the size of the present grand duchy. Indeed, Luxembourg’s international ambitions, mainly within the vast and chaotic German Empire, are almost as old as the house itself. It produced three Holy Roman emperors, several kings of Bohemia and a fair share of archbishops. Perhaps Luxembourg’s most lasting impression on the empire was the Golden Bull of 1365, a decree that would determine how Holy Roman emperors would be elected for over four centuries, until the empire’s dissolution in 1806. 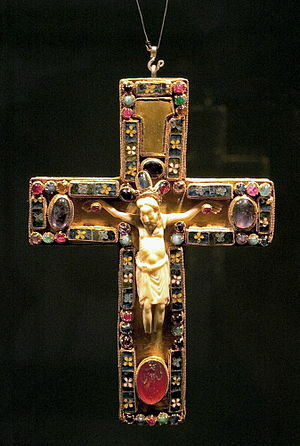 It was issued by Emperor Charles IV of Luxembourg, king of Bohemia, who in 1354 elevated his ancestral county to a duchy. Unfortunately, Luxembourg soon lost control of its own fate. In 1441 Duchess Elizabeth sold it to Burgundy; it later passed into Hapsburg hands and was eventually integrated into the Netherlands as one of its 17 provinces. Lack of an independent dynasty meant an end to Luxembourg’s influence in the world, and it eventually fell under the geopolitical knife. Like once enormous Poland, to the east, it suffered three partitions, resulting in the bonsai nation it currently is. In fact, the three countries surrounding present-day Luxembourg all own territory that once belonged to the Duchy of Luxembourg, and they all at one point or another demanded its total annexation into their own territory. 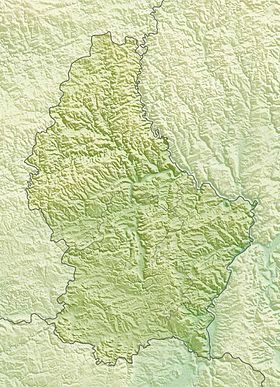 In 1659, the Treaty of the Pyrenees accorded just over 400 square miles (or 10 percent of its size at the time) of Luxembourg to France, which gained the fortified cities of Stenay, Thionville and Montmédy. At the Congress of Vienna in 1815, Prussia got the fort at Bitburg, and all lands west of a new riverine border, further reducing Luxembourg by 880 square miles (or an additional 24 percent of the original). Part of these lands would go to Belgium after the Treaty of Versailles in 1919. But the worst loss occurred in 1839, when the Netherlands accepted the Treaty of London, formally recognising Belgian independence. In return, the Dutch king William I got to keep the eastern halves of Limburg and Luxembourg, provinces which had nevertheless cheered on Belgium’s secession. 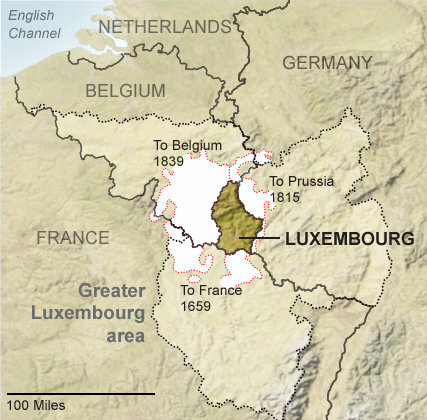 As a result, the grand duchy lost its western half (1,687 square miles, or 42 percent of its territory at its largest extension) to Belgium, which still has a province also called Luxembourg. William remained grand duke of the eastern half of Luxembourg, establishing a personal union with the Netherlands that would last until 1890. And of course the country didn’t avoid the horrors of 20th century Europe, either: in the first half of the 20th century, Germany brutally occupied Luxembourg twice, annexing it outright the second time. That list of unfortunate events would be enough justification for a grand duchy to be brimming with resentment, with local politicians falling over one another demanding the return of the lost territories, a condition common to many once grand nations. But political extremism is a fringe movement in Luxembourg politics —probably so small that it can be identified as that one guy fuming behind his Weissbier in a bar in Echternach. Instead, Luxembourg has sublimated irredentism, that unpalatable side dish of nationalism, into something much more powerful. Outwardly, the Luxembourgers are the best students of the European class. 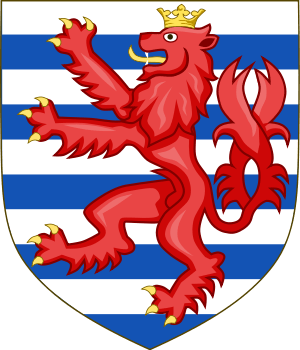 Their national motto, rendered in Luxembourgish, is: “Mir wölle bleiwe, wat mir sin” (“We want to stay what we are”), a good summary of the folksy, don’t-rock-the-boat conservatism that dominates the political scene. But the real slogan might just as well be: “We want to become what we were”: European power brokers, as they were in the Middle Ages. Luxembourg is stealthily positioning itself as the central pivot of a new supernational zone within Europe, generically called the Grande Région. 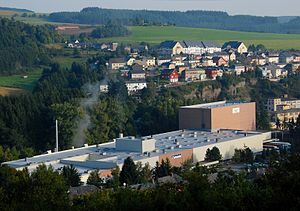 This Greater Region of Luxembourg is one of Europe’s many cross-border cooperations called Euroregions, welding Luxembourg with the Walloon region of Belgium (including its German-speaking area), the French region of Lorraine, and the German states of Saarland and Rhineland-Palatinate. The Greater Region is much wider than the old Greater Luxembourg, comprising an area of 25,250 square miles and counting more than 11 million inhabitants. Ostensibly only a forum to discuss economic, social, cultural and tourist affairs, the Greater Region of Luxembourg could nevertheless be seen as the inchoate resurrection of an ancient European entity: Middle Francia, the centerpiece of Charlemagne’s empire. It’s been a long time coming: While the empire’s eastern and western parts later evolved into Germany and France, Middle Francia — extending in a narrow corridor from the North Sea to the Mediterranean — did not survive its creation at the Treaty of Verdun, in 843 A.D., for very long. And about two-thirds the size of Rhode Island, smallest of the 50 American states. 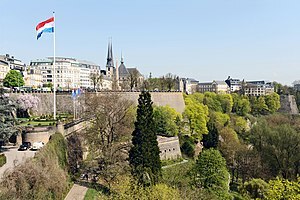 Luxembourg held the distinction of being the smallest member state until the 2004 accession of Malta, which is only 121 square miles in size, about twice the size of the District of Columbia. 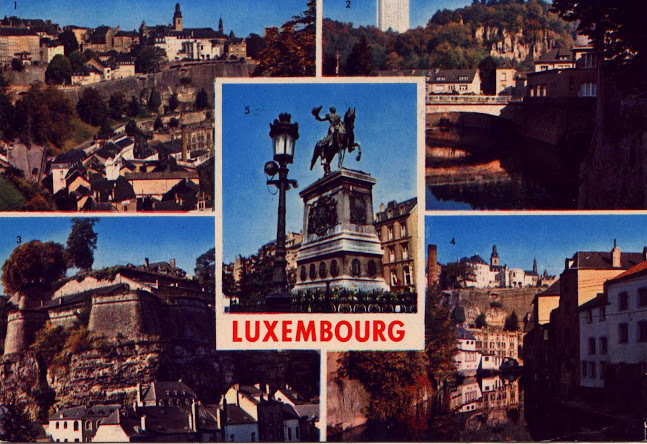 The French and standard international name of the city and country; in German, it is called Luxemburg; in Luxembourgish, it is called Lëtzebuerg. All three are official languages, with French the sole legislative language, German used for fiscal matters and in the press, and Luxembourgish (French vocabulary grafted on a German dialect) deployed in everyday conversations. A grand duchy is a rare nomenclature, defining the sovereign territory of a monarch below the rank of king but above that of prince. One of the earliest, and longest-lived, examples is the grand duchy of Tuscany, which existed from 1569 to 1860. Napoleon created a handful of semi-independent grand duchies to solidify his European conquests (e.g. the grand duchies of Würzburg and Frankfurt). The Congress of Vienna, undoing Napoleon’s work, showed a curiously similar predilection for grand duchies, creating a dozen of them in and near Germany. Of these, only Luxembourg has maintained its independence, and its grand duke. There has been a contingent of about 10 Luxembourgish soldiers stationed in Afghanistan since 2003, integrated with a Belgian battalion tasked with the defense of Kabul airport. In order: Gaston Thorn (1975-1976), Jacques Santer (1995-1999) and Jean-Claude Juncker (2005-present). The Eurogroup is the council of euro zone finance ministers maintaining political control over the euro currency. Luxembourgers also have their hands on the levers of power across the Atlantic. J. Dennis Hastert, speaker of the House of Representatives from 1999 to 2007, is a Luxembourgian-American. That same community produced a United States governor (Richard F. Kneip, of South Dakota), an Oscar winner (Loretta Young), a Nobel Prize laureate (the chemist Paul Lauterbur) and a baseball Hall of Famer (Red Faber). For more on this tiny but fascinating community, see the archives of the Luxembourg News of America. Presiding over a Golden Age for Bohemia, Charles is considered father of the nation in the Czech Republic. He founded the university in Prague that is still named after him. Concluded between France and Spain on Pheasant Island, mentioned earlier in this series. Which was installed and still operates as a condominium, previously discussed here. One monarch ruling over two (or more) distinct countries. The personal union between the Netherlands and Luxembourg ended in 1890 when William III left only a female heir. Wilhelmina became queen of the Netherlands, but as Luxembourg followed the Salic Law (allowing only men to the throne), William III was succeeded by Wilhelmina’s distant relative, Adolphe of Nassau-Weilburg. Banality is an excellent cloak for deviousness. Hence the even more abstract alternate name for this Euroregion: SarLorLux. Larger than West Virginia and more populous than Michigan. Its northern part was later also called Lotharingia, after its king Lothair II. Its southern parts included Burgundy, the Provence and the kingdom of (northern) Italy. Luxembourg has endured a hidden, and misunderstood history. Home to the elite for generations, Luxembourg has no longer the ghetto of high society, but remains a testament to that age, when class decided destiny. This gallery will show you what Luxembourg looks like today… which will give you an idea of Luxembourg’s past. An interesting city, historical lesson, and view back into the social ideas of our ancient roots. Today, Luxembourg is a tourist destination that allows anyone to visit… without the guise of the Holy Roman Empire, or an of the other past governments that have occupied this land. My winter break began with a 9 am train to Paris on Saturday, with a connecting train that would take us to Luxembourg. Luckily, there was a two hour layover in Paris, which gave us time explore the city a bit. We ate some street food for lunch and relaxed in a coffee shop before meeting the rest of our friends in the Paris Montparnasse train station. The TGV is one of the nicest trains I have ever been on (not that I’ve been on a lot of trains). The seats were comfy, it was carpeted, there we desks to eat/work on, lights, electric outlets for charging, several bathrooms in every car, a food car, and the ride was so smooth you couldn’t even tell when you were moving. Needless to say, the trip to Paris and then to Luxembourg went off with no problems. Baschleiden, Luxembourg, EUR, son of JOHANN PALEN and MARIE MULLER..
(Source: Broderbund(Banner Blue Division), World Family Tree Vol..
resided in Roodt later at Harlange Buried in Harlange (Harlingen). Old house still there in April 2000. Wife of Joseph Palen Deceased on March 17, 1855 at age of 54 years..
& some of the old crosses were put close to the wall of the church..
5 of whom died in infancy -- among them twins. 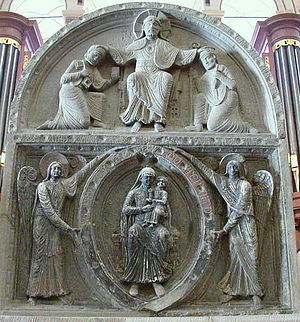 there in May 1998 Buried in Harlange (Harlingen), Luxembourg. Tree Vol. 13, Ed. 1,  (Release date: August 14, 1997), "CD-ROM. "), b.
January 28, 1821, ?, Luxembourg, EUR; d. October 8, 1897, ? ; m. JEAN ? Ed. 1,  (Release date: August 14, 1997), "CD-ROM. "), Abt. 1843, ? ; b. Unknown, ? ; d. Unknown, ?. NICK SHRUP WAS OF THE FIRE MARINE. 2. ii. DOMINIQUE ? PALEN, b. August 15, 1822, ?, Luxembourg, EUR; d.
iii. MARIE-JOSEPHINE PALEN, b. May 12, 1824, ?, Luxembourg, EUR; d.
Unknown, ? ; m. HENRY J TALBOT, Abt. 1846, ? ; b. Unknown, ? ; d.
Luxembourg, 11/11/1999, e-mail(haffren@aol.com). ); d. Unknown, ? ; m. 1857. ), 1854, ? ; b. Unknown, ? ; d. Unknown, ?. 5. vii. PIERRE JOSEPH PALEN, b. Abt. 1832, ?, Luxembourg, EUR; d. Abt. d. Unknown, ? ; m. NICOLAS ? LUCAS (Source: Rischard, Sale of PalenHarlange home in 1857. ), Abt. 1855, ? ; b. Unknown, ? ; d. Unknown, ?. More About NICOLAS LUCAS and MARIE PALEN: Marriage: Abt. 1855, ? 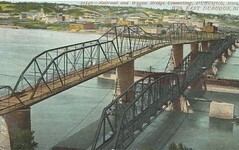 d. November 2, 1909, Dubuque, Dubuque Co, Iowa, USA. xi. MARGUERITE ? PALEN, b. Abt. 1840, ?, Luxembourg, EUR; d. Unknown, ?. More About JEAN SCHRUP and MARIE PALEN: Marriage: Abt. 1843, ? Fernand Pletschette wrote: Lydia, for sure I know that you are in contact with Jean Ferber. I really enjoy hearing that we made progress with the Kransz family. This all started the Pletschette family tree. I have been in contact with Jean Ferber regarding the Kransz family. I know he has copied you what I have sent him on the Kransz family. one of them Nicholas J. Schrup. He married Mary Anna Kransz daughter of Nicholas and Margaret Faber Kransz. Do you know when Maria & John got married? This blog is dedicated the memory of my mother, Jean Marie (Linderman) Frederick Mancill. Today would have been her 85th. birthday. Her mother died when I was young and I don’t remember her much. She was Phylis Eugenia (Palen) Linderman. Mother was only 36 then in 1963 and she missed her dearly, and always honored her memory. My maternal Great Grandfather, was Frank Joseph Palen of Caledonia, Houston County, Minnesota. His father, Leopold Frank Palen emigrated from Bachlieden, Diekirch, Luxembourg in 1862 to Caledonia, Minnesota.